Nope, that’s not a typo. 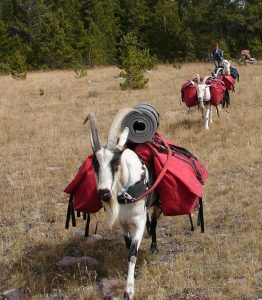 Goats can be pack-wearing, load-hauling, backcountry companions that need very little care and will sleep in your tent…if you let ’em in. Pack animals have a very long history in the outdoors, being used in epic travels throughout recorded history. Today, pack animals in North America are seen largely in the hunting realm, where they are used to pack supplies into and meat out of remote camps. Horses, donkeys, mules, and alpacas are the most common beasts of burden for trail work, but recently a smaller, more manageable animal has found some favor: goats. Goats are strong animals, with large males able to carry 50 pounds or more. Yet they are smaller than other pack animals, and with a demeanor that makes them more easily led through rough terrain. They are also easy to care for. There are a variety of breeds suitable to raise as trail mates, but here I’ll focus on the most popular, and the one I use, the Alpine. I chose the Alpine breed for two reasons: temperament and size. Alpines have more in common with dogs than horses or llamas when it comes to personality. They are social, friendly, mischievous, and loyal. If raised correctly, they love human interaction and are great with kids. You have to account for these traits at home and afield. Secure fencing and climbing obstacles are a must, as is a three-sided shelter for them to retreat from rain or, here in Arizona, the desert heat. In the field, they’ll want to be at your side – all the time. I wasn’t kidding about them wanting to cuddle up next to you in the tent. When you’re out and about, no need to lead them, or tie them off, they’ll follow you around. Alpine goats are one of the largest breeds of goats. Males range from 170 to upwards of 225 lbs and can carry 25-30% of their body weight. Typically, castrated males, or wethers, are the packers, though some bring a female in milk along on the trail for a fresh squirt into their morning coffee or cereal. Alpines are popular among backcountry hunters, especially solo hunters like myself. When the thermometer is still hovering around 80 degrees in early September, and you have an elk to butcher and pack out, that’s when the goats earn their feed! Goats, as you might expect, are sure footed and can go just about anywhere you can go. A few days without water, as long as good forage is available, is no problem. They are also easy to train and easy on the environment. The final item to note is cost. 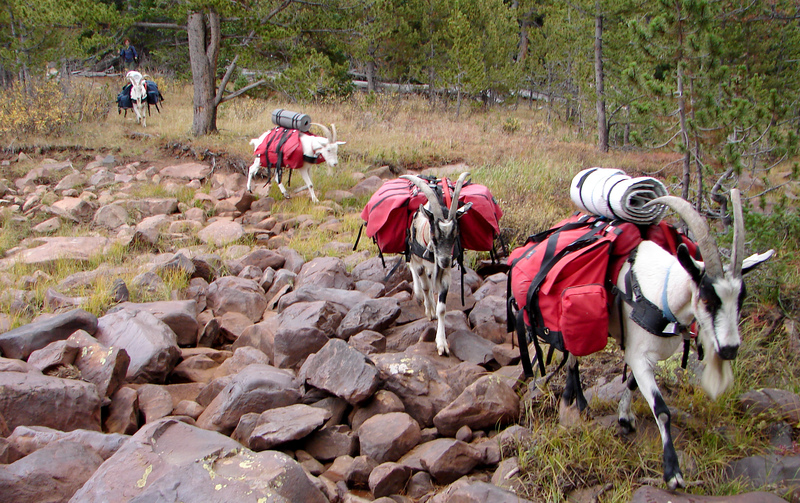 Relative to other pack animal options, goats are CHEAP! You can easily maintain 2-3 goats for $40-50 a month. 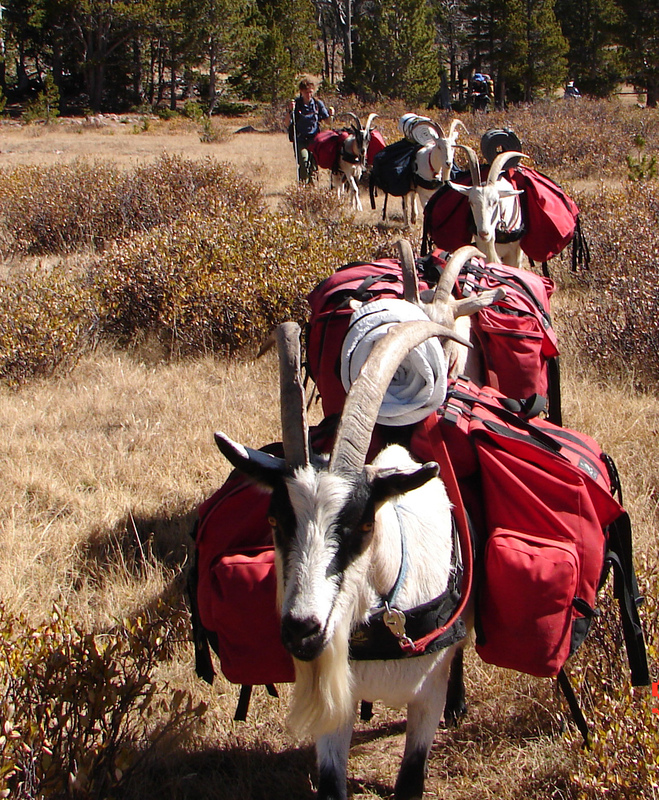 Using goats as pack animals may not be as well known as others, but there are some solid resources available for those interested in getting started. 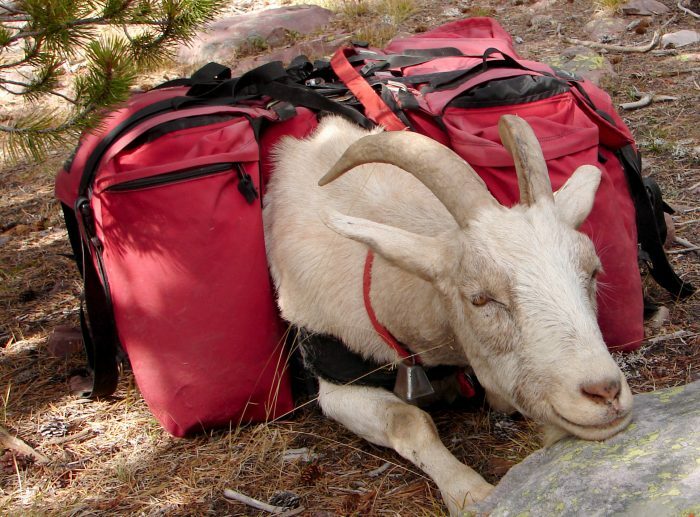 The definitive book on pack goats is “The Pack Goat”, by John Mionczynski. A hub of pack goat activism around issues of land use and instruction is the North American Pack Goat Association. A few other sources I’ve found particularly helpful in getting started are High Unita Pack Goats and Wind River Pack Goats. There are a few other tack manufacturers and plenty of other resources out there as well. 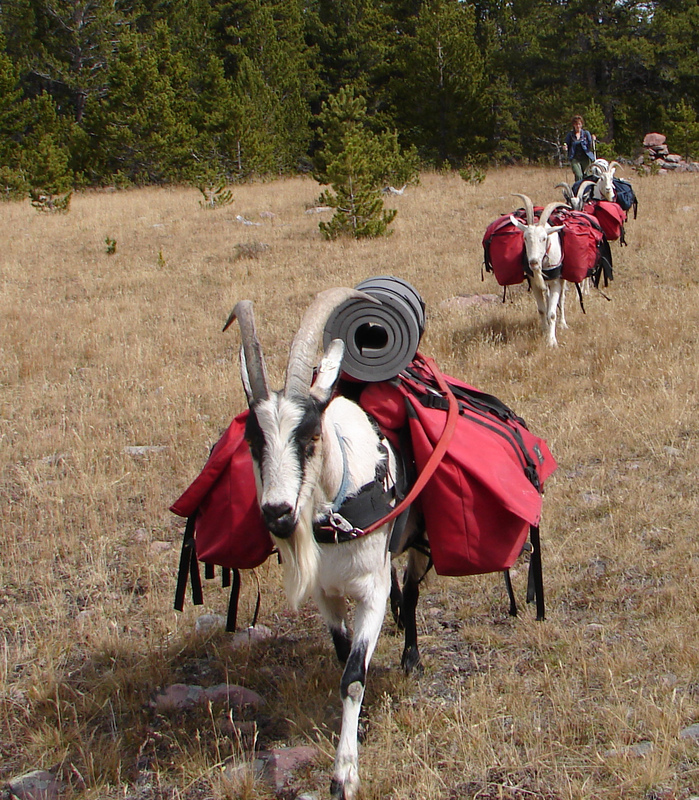 So if you’re looking for a willing work companion in the backcountry that won’t break the bank, consider a pack goat, and the next time you’re hauling out elk quarters you’ll find your load considerably lighter. Jarrett Babincsak pens the blog The Hunter Conservationist, works extensively with non-profit public lands advocacy group Backcountry Hunters and Anglers, and is a solo adventure hunter. Father to two and husband to one – lucky ladies all — he resides in rural New River, Arizona. Camping, fishing, hunting, hiking, trail running – if it’s outside, he’s in.